VideoScribe v3.0.6 was released on 7th February 2018 and is now available to download from your account page. We’ve amended the watermark for the free trial version. This now will only be seen when you preview your work or in the final published video. An example of this new watermark is shown below. 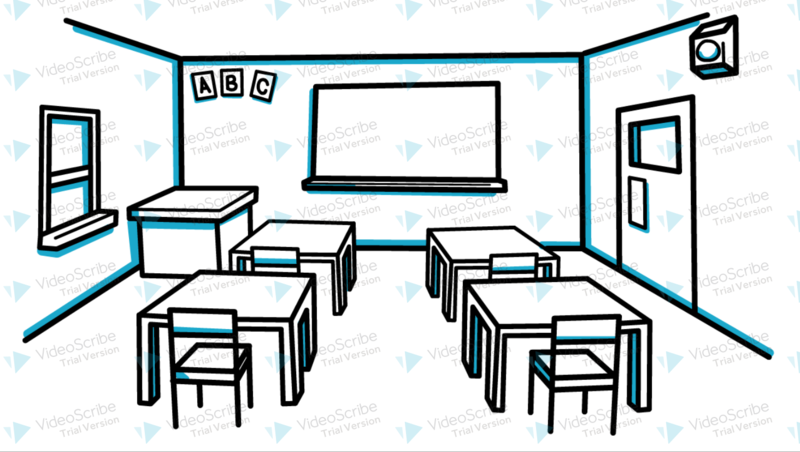 There is no change to the watermark for the Education version, it still uses the same VideoScribe watermark in the bottom right of the video output. We have made the following minor updates to the user interface in this version. Your colour selection in the text, image and paper colour palette will now be highlighted to make it easy to see what colour you are currently using. If you select white we have also added an outline to the colour box to make your selection clearer. We have improved the tile view on the timeline. The elements you have not selected now show in faded colour rather than being greyed out. When you select multiple elements on the timeline these are now highlighted to a greater level to make it clearer which items you have selected. We have continued to improve the image search facility by updating our list of search terms to make it easier for you to find the images you want. Plural and symbol tags have been added to images that were missing them as well as a few more tweaks based on the data we collect on the things you search for. This change is now live and available to use. That all sounds great! How do I upgrade to v3.0.6?